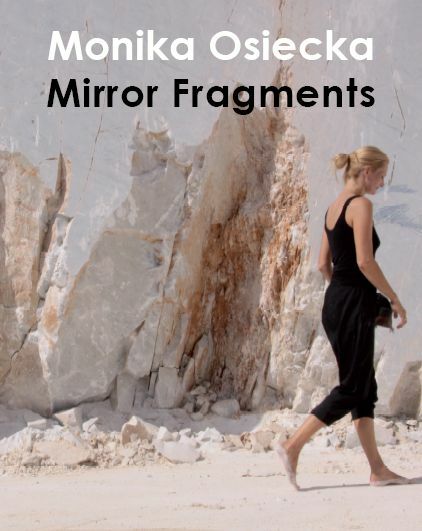 Monika Osiecka’s Mirror Fragments is a fascinating record of a woman’s experience, an artist’s self-reflection. 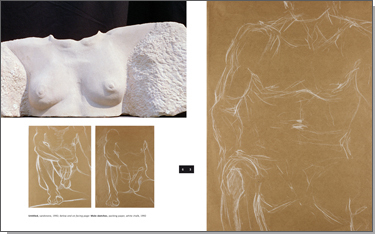 It is an intimate diary composed of words, sculptures, and the author’s own photographs. Don’t be misled by the impression that the central focus of this unusual publication, this album, yet not album, is the image. 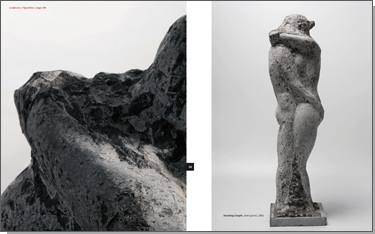 Subtle nudes, female figures emerging out of stone, rugged abstract forms with mysterious sounding names like “Biała Marianna” (White Marianna). Don’t think of it as travel sketches, at the center of which are huge blocks of marble in Carrara. Or the stone door-frame of an exotic temple. Or words. 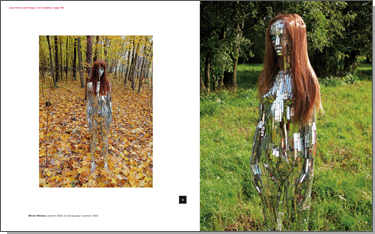 Mirror Fragments is a journey of beholding. 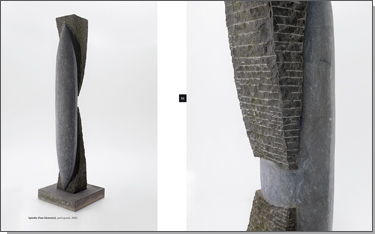 You can begin reading anywhere you please; the words compliment the images; the images take you to story lines recorded in poetic micro narratives; we discover motifs common to both in photographs brought back from sculpture symposiums or from expeditions to far-off places. Photographs of a pleated dress from Pietrasanta, which lies like the folds of the marble cliffs in Carrara, is linked in the artist’s vision with the rhythm of the gothic stairs in Wells Cathedral. 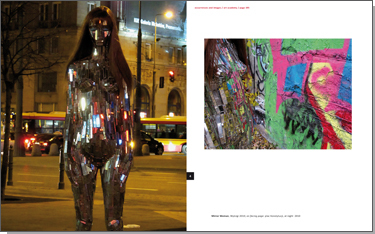 “My life is fragments of a mirror, in each bit another world”, she writes of herself. 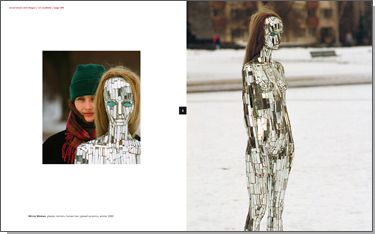 “All that holds them together is my looking.” We follow this vision on every page of this beautifully edited book. 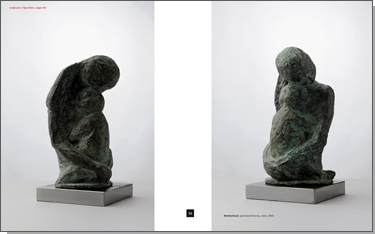 Monika Osiecka reveals for us a private tale, woven from fragments: of the joys of creation, of a woman’s sensuality, and of the experience of motherhood. Of love and good-byes, the trauma of being hospitalized and the ecstasy of a journey with no destination. 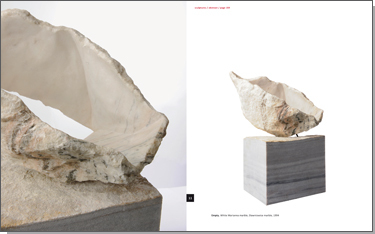 She writes in this artistic self-commentary, so rare in Polish art, “Creation is the one time of complete fulfillment that I know.” The material of her creative works is mostly stone. 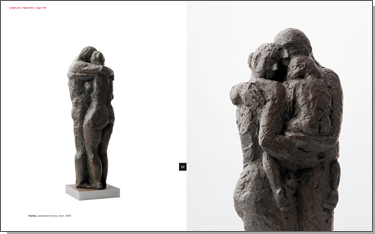 The analogy, the sisterly contiguity of the artist’s material and experience is a feature of her entire œuvre.